When a driver in New Jersey is arrested and convicted of driving while intoxicated or for refusing to submit to a breath test to determine the blood alcohol content when requested to do so by a law enforcement officer, one of the penalties that can be assessed is to have an ignition interlock device installed on the driver’s vehicle. An ignition interlock device is a machine that has a breathalyzer attached to it. It is linked to the starter and if the driver registers above a certain level, the vehicle won’t start. Driver who have this device installed on their vehicle will also have to blow into the machine periodically for it to continue running. Drivers are often under the mistaken impression that it is part of their legal rights against self-incrimination to refusing a breathalyzer test when asked to do so by a law enforcement officer. This is not the case. There is a law of implied consent in New Jersey that requires a driver to submit to a breath test when asked. If the driver refuses, there will be an arrest and subsequent penalties which include an ignition interlock device being placed on his or her vehicle. This is true even in cases in which the driver was either under the legal limit for BAC at the time of the arrest or hadn’t had anything to drink at all. The driver must take the breath test when the officer asks. 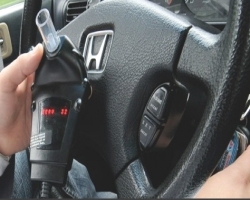 For a first offense refusal, the ignition interlock device will be placed on the driver’s vehicle for six months to one year after the driving privileges have been reinatstated post-suspension. For a second and third offense, the device will be installed during the suspension and for one to three years after the suspension has been lifted. If a driver is stopped by law enforcement on suspicion of DWI, the officer will follow a general set of procedures during the investigation. The officer will ask the driver for the license, registration and proof of insurance all the while looking for signals that the driver might have been drinking. This can include glassy eyes, slurring of words and the smell of alcohol. Then the officer will administer field sobriety tests such as the One-Leg Stand test and the Walk-and-Turn test. After that the officer will ask the driver to take a breathalyzer test. As stated earlier, the driver cannot refuse to take the breathalyzer. If the BAC for a driver age 21 or over is 0.08%, there will be an arrest for DWI. For drivers under the age of 21, it is 0.01%. For commercial operators, it is 0.04%. 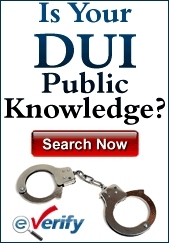 There are certain penalties for a first offense DWI with a BAC of between 0.08% and under 0.10%. The penalties are worse if the BAC is over 0.10%. If the BAC is 0.15% or above, an ignition interlock device placed on the driver’s vehicle. This is in addition to the driver’s license suspension, fines, surcharges, requirement to attend alcohol treatment programs and jail time. Even if the BAC is under 0.15%, the judge can order that an ignition interlock device be placed on the driver’s vehicle for the duration of the suspension of driving privileges. For a first offense, the driver will have the driver’s license suspended for three months. For a second offense, it is seven months to a year. When a driver attempts to start the vehicle, he or she must first blow into the machine to test the BAC. If the level is above 0.05%, the vehicle won’t start. Drivers who consider the possibility of having a person who has not been drinking blow into the machine for it to start will get away with that trick briefly, but they will also have to blow into the machine periodically while the vehicle is being driven for it to continue running. If they do so and the BAC registers 0.05% or above, the horn will begin honking and the lights flashing telling the driver to shut the vehicle off. The ignition interlock device costs between $50 and $200 to install. This must be paid by the driver and there are certain locations which are acceptable for the machine to be installed. In addition, there are monthly rental fees of between $50 and $100. The machine must be maintained for the duration it is on the vehicle. There are specific appointments when the machine must be calibrated, the records downloaded and the machine reset. In general, the machine must be checked every two months. These rules cannot be violated.